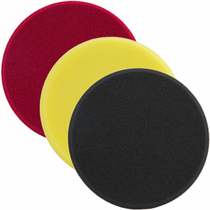 Meguiar's Soft Buff DA 6” Foam Pad Mix & Match 3 Pack the best way to get all of the pads you need in an affordable bundle. Only buy the pads you need! 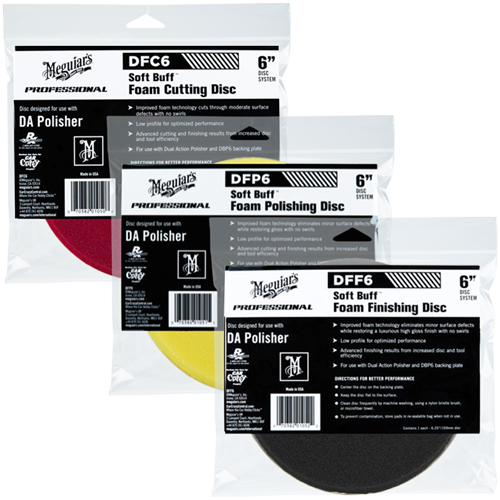 Choose ANY Three Meguiar’s 6” Foam Cutting, Polishing or Finishing Pads! 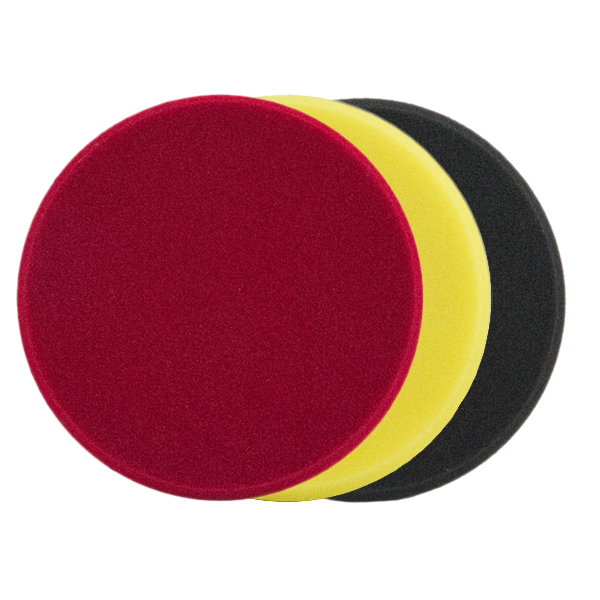 Meguiar's Soft Buff DA 6” Foam Cutting Pad: MODERATE scratches, paint defects, swirl and oxidation removal. 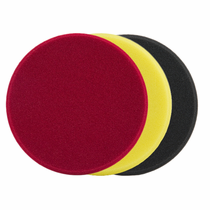 Meguiar's Soft Buff DA 6” Foam Polishing Pad: MINOR defects, light swirl and very minor scratch removal. Meguiar's Soft Buff DA 6” Foam Finishing Pad: WAX, PAINT SEALANT and GLAZE application. Meguiar's Soft Buff DA 6” Foam Pads low profile foam technology was designed for level as well as contoured paint surfaces. All Meguiar's Soft Buff DA 6” Foam Pads offer increased efficiency, reduced product consumption and swirl free results. Meguiar's Soft Buff DA 6” Foam Pad RECOMMENDATIONS: Center Meguiar's Soft Buff DA 6” Foam Pad on Meguiar's 6” Dual Action Backing Plate. Use your choice of polish, wax, paint sealant or glaze and keep pad flat on the surface during the polishing process. Meguiar's Soft Buff DA 6” Foam Pad CARE: Clean Meguiar's Soft Buff DA 6” Foam Pads often during use with a nylon bristle pad cleaning brush. After use, hand or machine wash remove polish, wax, sealant and glaze residue in the pads. Remove excess water and allow to air dry. To prevent contamination store in original resealable plastic bag once thoroughly dry.